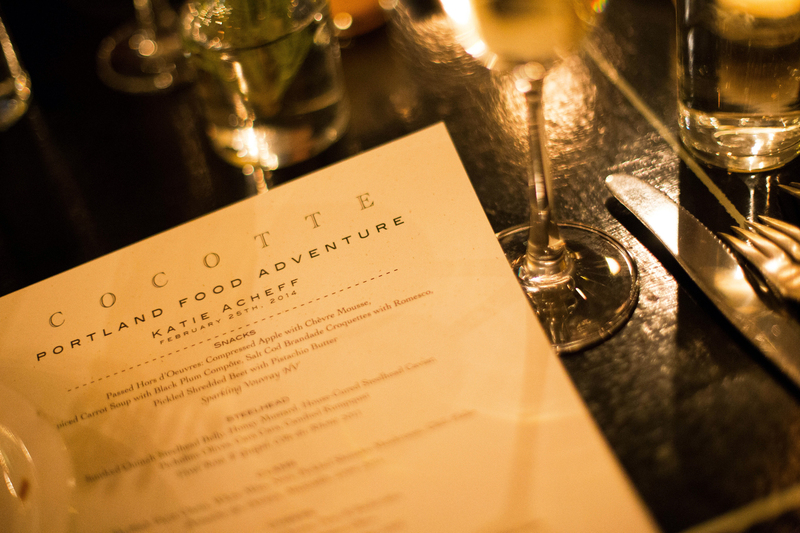 Portland Food Adventures started it’s second round at Northeast Portland’s Cocotte last week. 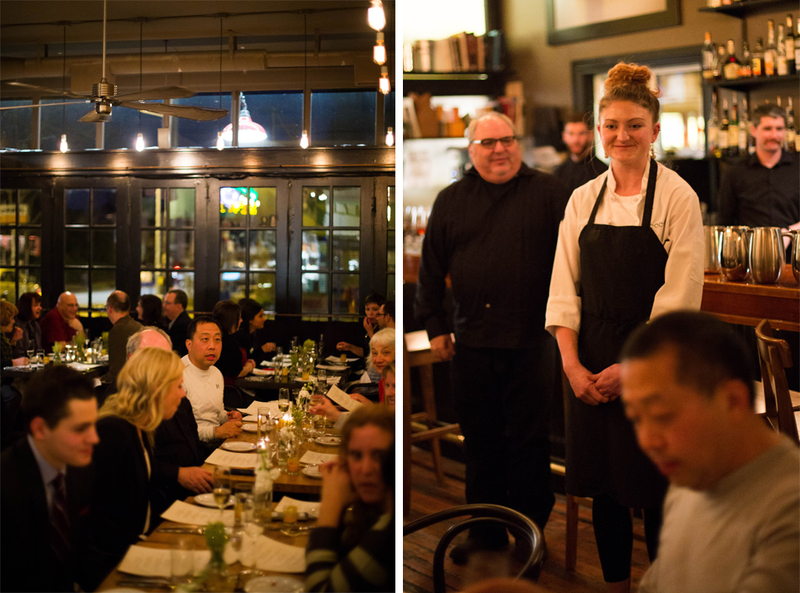 Headlined by Chef Kat Le Sueur, we were treated to an elaborate seven-course French cuisine inspired dinner. We started with some hors d’oeuvres including compressed apple with chevre mousse, spiced carrot soup, salt cod brandade croquettes with romesco, and pickled shredded beet with pistachio butter. 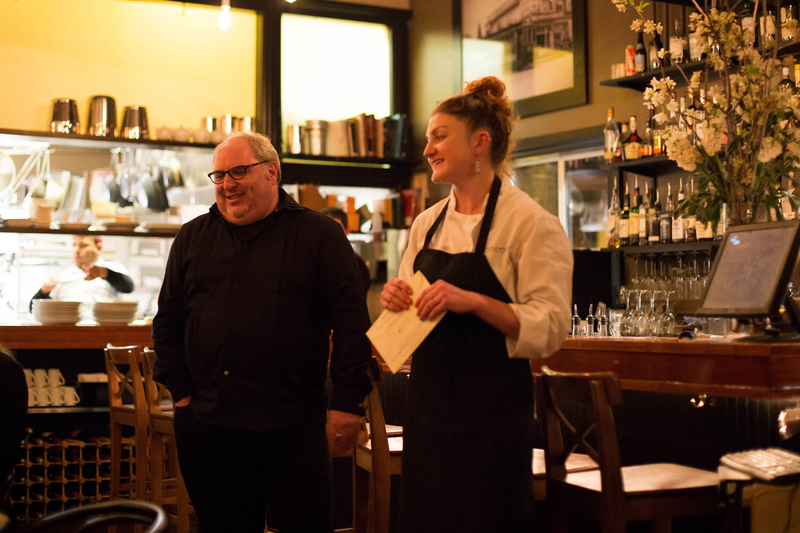 Our host, Chris Angelus, introduced us to Chef LeSueur who spent a little time describing some of her influences on tonight’s dishes. This is one of the few repeats of Portland Food Adventures after being such a crowd pleaser the first time around. Our first course was smoked quinalt steelhead belly with honey mustard, house-cured steelhead caviar, picholine olives, cara cara and candied kumpquat, paired with a Tavel Rose. 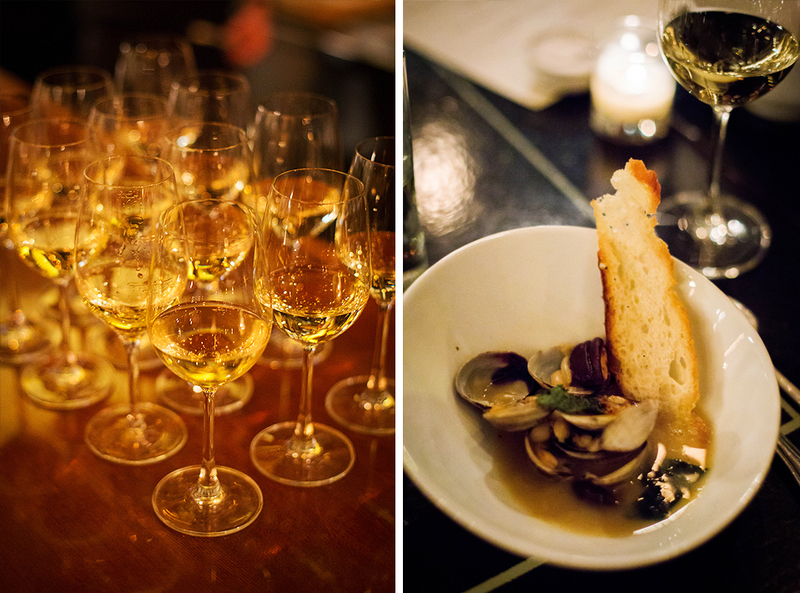 Course two (above) included Nevor shellfish farm clams in a white miso broth, with pickled shiitake mushrooms and paired with a Loire 2011 Muscadet Domanies des Dorices Muscadet. 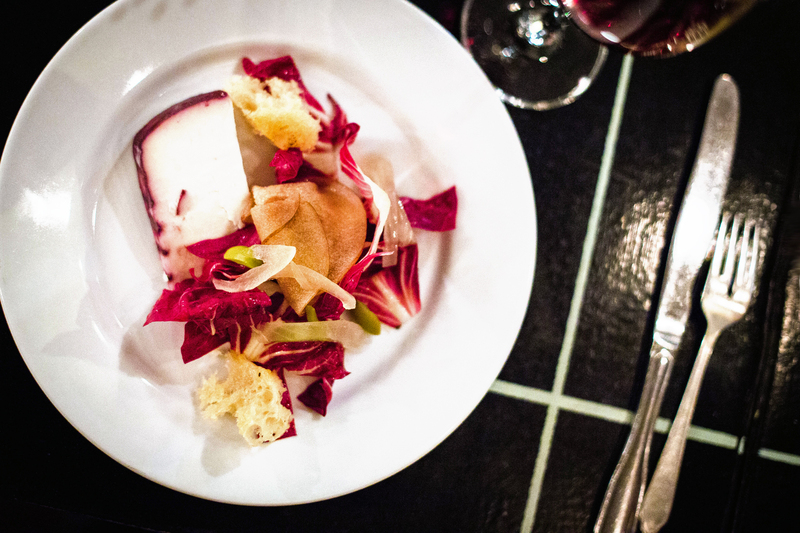 Above is course three, a cabra vino goat cheese with pear & radicchio, pickled onion, and picholine olive. As a huge fan of gourmet cheeses I love when they are served as a full course, and this was no exception. 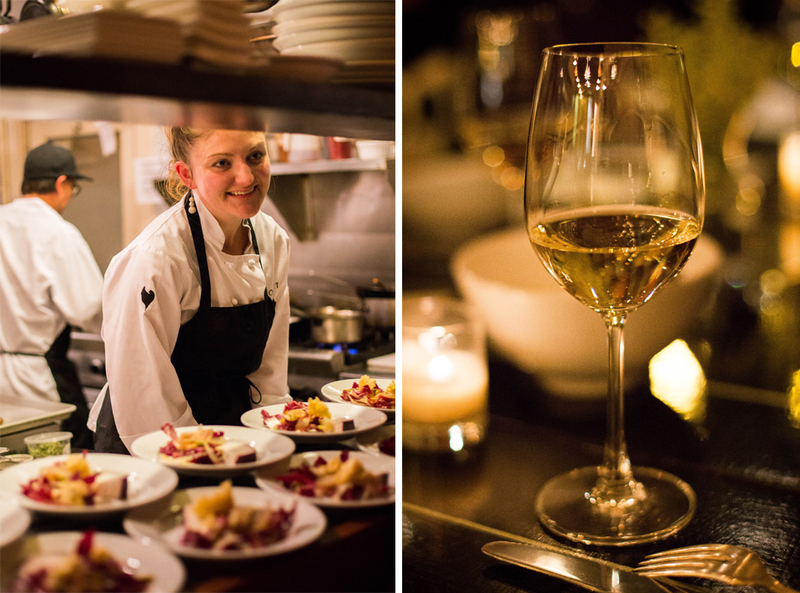 One of the great aspects of the Cocotte space is the kitchen is very accessible, right in between the restaurant with a large open bar area, so I got to catch a few shots of Chef LeSueur and her crew crafting our meals for the evening. Next up was a Valrhona Gnocchi a la Parisienne with Nicky Farms Rabbit Leg Ragout, smoked rabbit loin, rabbit liver mousse, celeriac and fennel pollen. 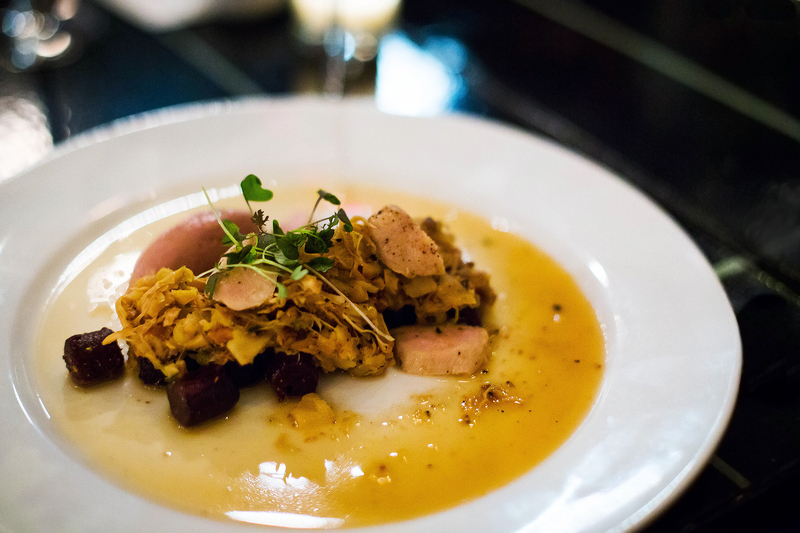 The gnocchi had a rich chocolate base that created a unique balance to the meat and liver mousse. 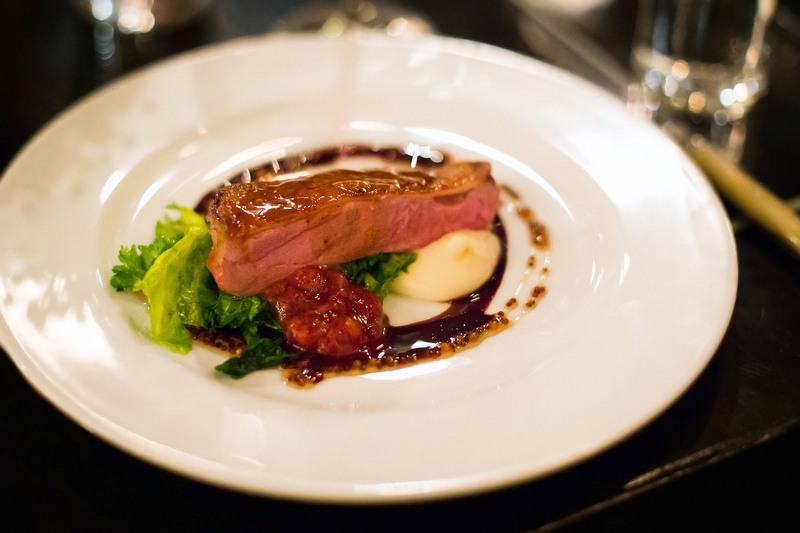 Our last main course was a super savory cured duck breast with ginger poached black plum, potato puree, mustard greens, picked mustard seed and paired with a Columbia Valley 2010 la Pyramide Syrah. 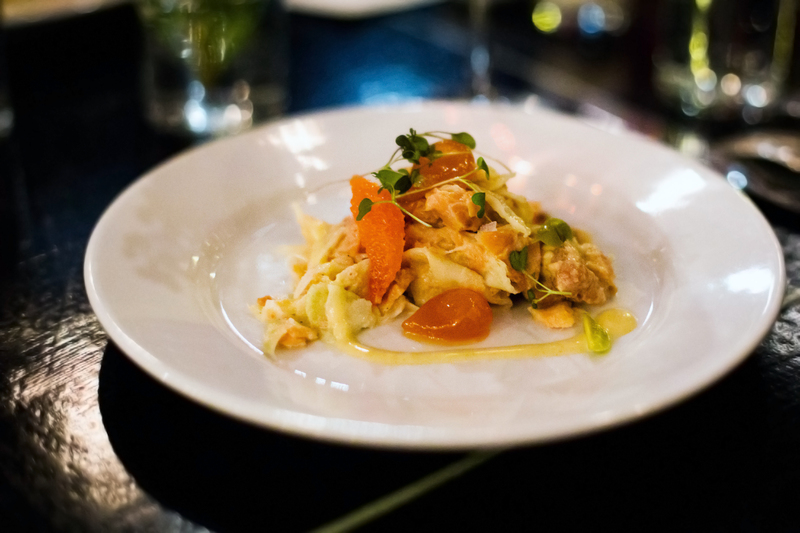 As everything wrapped up Chef LeSueur introduced us to some of our gift certificate destinations this time around. 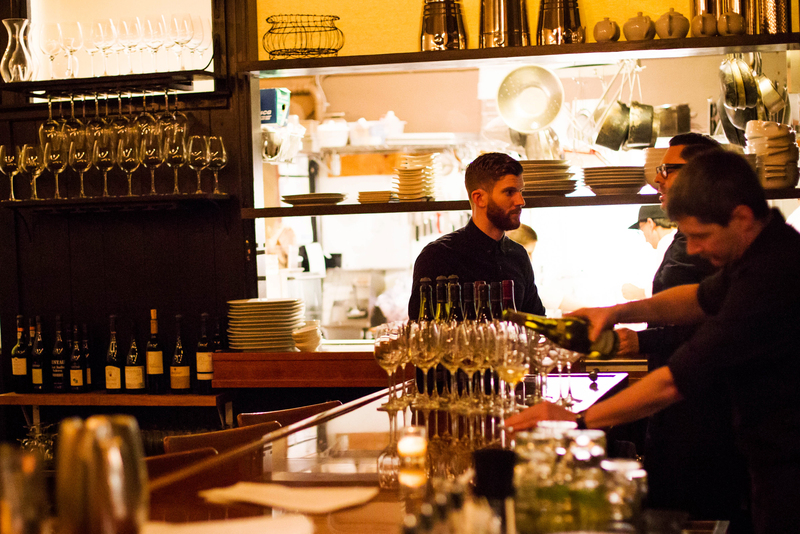 One of the best parts of Portland Food Adventures is it doesn’t stop when the last course has been served, as these gift certificates bring us to some of the most interesting spots in Portland. This time around includes Cardinal Club, Expatriate and Canteen. I personally can’t wait to hit up Expatriate for my free cocktail! Our final course was a fantastic orange scented chocolate cake, black pepper vanilla whipped cream, with a praline sauce and gold leaf, paired with a Lustau Anada 1997 Vintage Sherry. And that’s it for now! 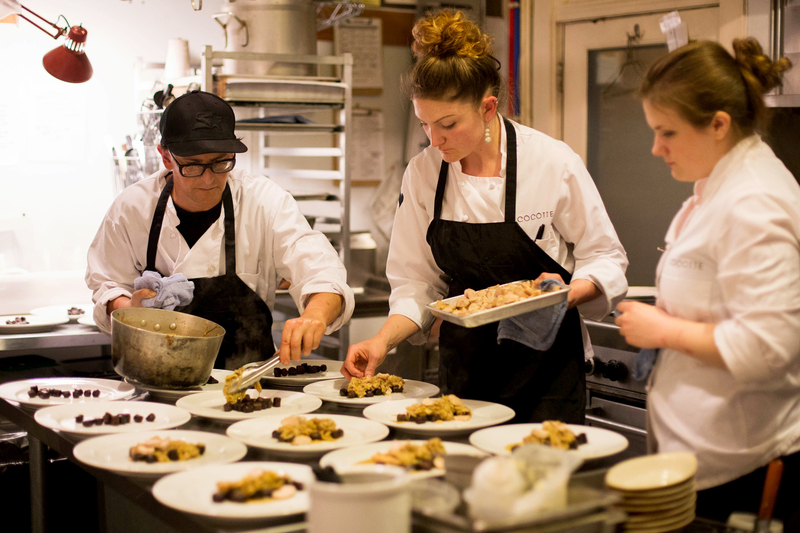 I’m looking forward to follow Chef Kat LeSueur to Cocotte’s In the Kitchen event at the Standard TV & Appliance Showroom where she will be making her signature poulet. I would highly recommend it! 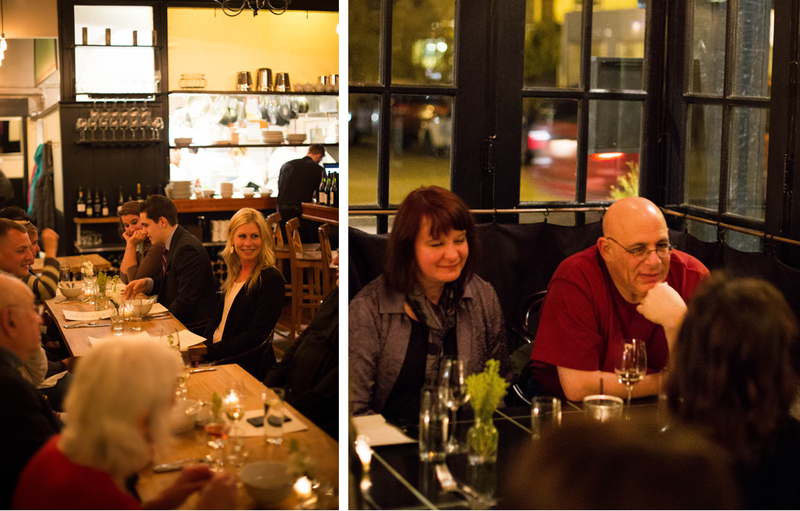 Coming up we also have a signature Portland Food Adventure experience at American Local on April 7th!